When settlement houses were founded in the United States in the late 19th century, the idea was for educated middle-class or upper-class individuals to settle in impoverished areas, and through their influence and resources help lift their neighbors out of poverty. Perhaps the most famous American Settlement House was Chicago's Hull House, founded by Jane Addams and Ellen Gates Star in 1889. Hull House went bankrupt and shut its doors in 2012. Historian and author Louise Knight responded to the closure with an article for The Nation connecting the bankruptcy to, in part, an over-reliance on government funds. "The great insight of the settlement movement," Knight wrote, "was the power of social ties to realign the energies of prosperous people away from their class self-interests and towards efforts to support the reforms working people sought...Underlying that insight was the recognition that materially comfortable people often held dangerous misconceptions about working class people as undisciplined and without ambition and that working people held prejudices of their own about the selfishness and greed of the wealthier classes." "I do think that it was a strength of the early settlement houses to not have government support," Knight said. "It gave them flexibility of programming." Knight also noted that the earliest settlement houses purposely avoided religious affiliation. "They were what you might call secular," Knight said. "They intentionally did not want to introduce the subject of religion...and that was because they were aware that they were in diverse immigrant communities that had diverse religions." 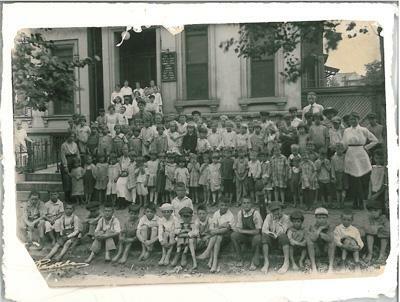 Unlike Hull House and the other earliest settlement houses, the settlement houses of St. Louis have strong religious ties. In addition to Louise Knight, St. Louis on the Air host Don Marsh spoke with three people who lead modern-day settlement houses in the St. Louis area. Neighborhood Houses, formerly Caroline Mission, is celebrating its centennial this year. That organization was founded in connection with the United Church of Christ. The Lessie Bates Davis Neighborhood House was founded by the United Methodist Church and The Guardian Angel Settlement had ties to the Catholic Church. But like Hull House, the settlement houses of St. Louis now rely heavily on government funds. Bill Kreeb, President and CEO of the Lessie Bates Davis Neighborhood House in East St. Louis does not believe that limits them, however. "They [Hull House] did not close because of government funds," Kreeb said. "They closed because of the lack of government funds." Jessica Brandon, Executive Director of the Guardian Angel Settlement and President of the St. Louis Federation of Settlement Houses agreed. "The needs are so great we need to pursue all funds," Brandon said. Like Kreeb and Brandon, Darlene Sowell, President and CEO of Neighborhood Houses, said the social service agencies have evolved to meet modern-day needs. A discussion about the historic settlement house movement and how the social service agencies have evolved. 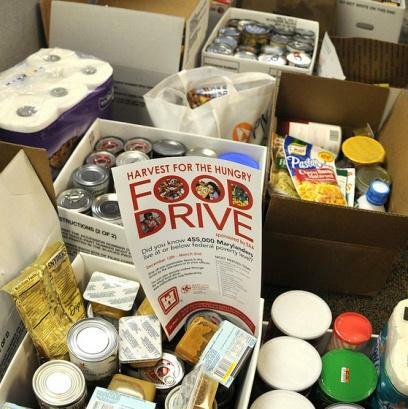 The number of people who do not have enough food in the United States is a serious problem. Host Don Marsh talked with guests about the food crisis nationally as well as locally.